Seeing Things, Fraenkel Gallery, San Francisco, 1995. Impressionist France: Visions of Nation from Le Gray to Monet, The Nelson-Atkins Museum of Art, Kansas City; Saint Louis Art Museum, St. Louis, 2013 - 2014, no. 9. Pare, Richard. Photography and Architecture: 1839-1939. Exh. cat. Centre Canadien d'Architecture. Montreal, Canada, 1982, p. 224, illus.pl.12. Janis, Eugenia Parry. 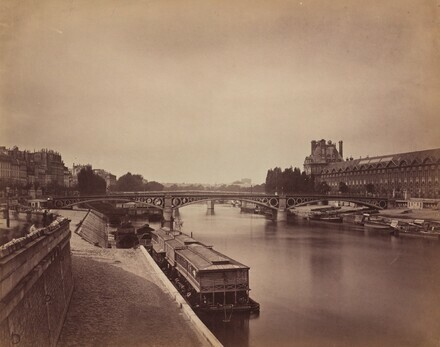 The Photography of Gustave Le Gray. Exh. cat. The Art Institute of Chicago. Chicago, 1987, pl.32.